To make a long story short: The Olympics is a dying breed with the younger generation, without action sports like skateboarding; the organization will lose credibility over time. The Olympics need skateboarding if they want to stay relevant to the younger generation and attract both young viewers and fans of action sports. 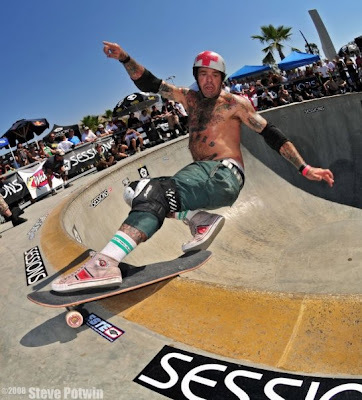 Skateboarding does not need the Olympics; contests like the X-Game, the Dew Tour, the Street League and the Maloof are plentiful, they take place all year long in big arenas and venues all other the country and even worldwide. It seems that Skateboarding and BMX freestyle have a chance at becoming Olympic sports at the 2016 Summer Games. The Switzerland-based “Union Cycliste Internationale” is lobbying for skateboarding (and BMX) to be added to the 2016 Games in Rio De Janeiro. Brazil is the 2nd country in the world for skateboarding where the sport has as many adepts as soccer and surfing. The International Olympic Committee (IOC) is aware of the fact that they need to introduce events in the Olympic program that get kids move involved into sport. McQuaid admitted that the discussion is still at an early stage and there is still a lot to consider. However the response of IOC president Jacques Rogge and others has been very positive till now and is definitely a sign of encouragement. UCI already attempted to include skateboarding in London's 2012 Olympics, but it fell through in 2007. "The challenge at the time was the necessity to create a structure within the skateboarding community," said Sandrine Tonge, a spokesman for the International Olympic Committee. "There was, back then, no recognized national entities or World Championships." Organizers say skateboarding is ready for the Olympics. “The IOC is keen to keep the Olympic sports program relevant for the young generations," Tonge said. Margo Christiansen, a spokeswoman for the U.S. Ski and Snowboard Association, said snowboarding was a boon to the Winter Olympics because it's a sport "kids are doing across terrain parks all over the world." Christiansen thinks skateboarding is a similar activity. "From what I can see in the streets, it translates to this as well," she said. Skateboarding's chances at the Olympics increase with the backing and influence of the UCI. The nonprofit, non-governmental association has close ties to the International Olympic Committee as its former president, Hein Verbruggen, is a senior member of the IOC. "I do not see how it will hurt in any way," said Alan Foster, brand manager at Felt BMX in Irvine, Calif. "I hope this will replace another non-bike Olympic event that is old and outdated." A limit of 28 sports has been set for 2016 Games by IOC so Skateboarding and BMX freestyle will find themselves competing against several other sports for the last two available slots. They are up against golf, ruby, squash, karate, baseball and softball. An introduction of new Olympic discipline normally eliminates another discipline. For example, baseball and softball are making bids for a return, as both were dropped from the 2012 program because not enough top players were able to compete. Other events looking for a spot in Rio include golf, rugby, squash and karate. However the UCI is hopeful that the introduction of skateboarding will not push out any other event from its Olympic schedule.